A handmade knife miracle. 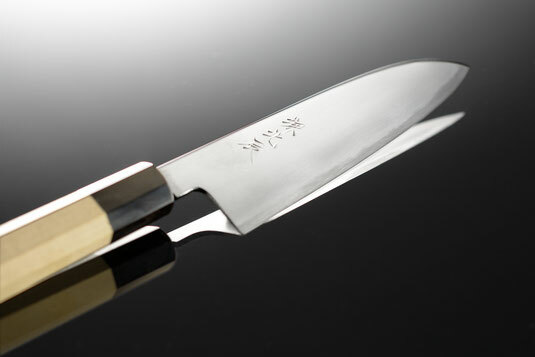 Every chef who knows Ikeda knives dreams of having one. Core: Shirogami 2 steel, hardened to HRC65. Handle: Octo hoo handle for perfect grip. Precious colour. Buffalo horn ferrule bolster.